OverviewWhen shopping for a car that packs a mega engine and explosive horsepower, the chore of finding a new vehicle transforms into an adventurous journey of test driving incredible machinery. Researching detailed specifications can take time, so we’ve compiled information about some of the highest horsepower cars we carry at Oxmoor Auto Group in Louisville, KY. When you’ve done your research, give us a call so we can get you behind the wheel of one of these fast and incredibly powerful machines. Lease a high horsepower vehicle at your local Louisville, KY dealership. The exhilarating feeling of getting behind the wheel of this street-legal, but endlessly fast muscle car is hard to forget. 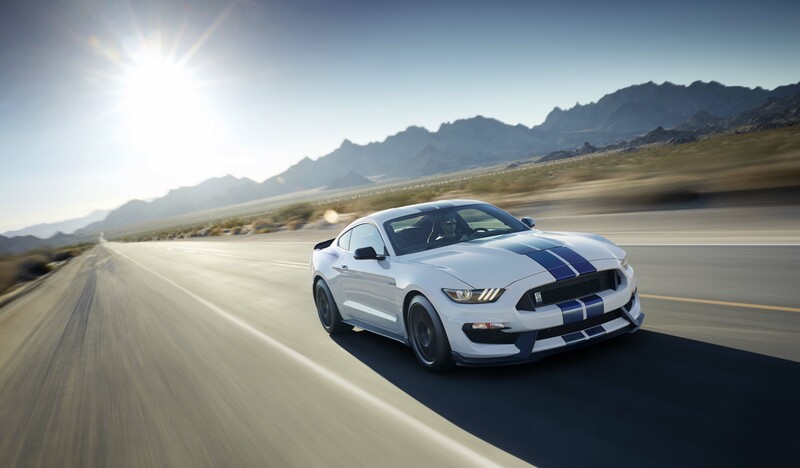 While not your base Ford Mustang model, the 2017 Ford Mustang Shelby GT350 uses its 5.2L Ti-VCT V8 engine to rev up to 526hp. Ford has built this beauty with seemingly impossible attention to detail, both under the hood and in the interior. The 2017 Ford Mustang GT350 has only two seats, but packs in all the other comforts you want in a car, from the standard audio system to the rear view camera, comfortable racing-style cloth seats, aluminum trim, and a heads up gear shift display. The Ford Mustang Shelby GT350 deserves a test drive if you are in the market for high horsepower, so let us put you in the driver’s seat at Oxmoor Auto Group in Louisville, KY.
Well known for its monster engine, the Dodge Challenger SRT Hellcat blows the competition out of the water when it comes to horsepower. This 2-door, 5-seater classic is equipped with a 6.2L HEMI SRT V8 engine, which achieves up to 707hp and 650lb-ft of torque. Behind the wheel you’ll not only feel the horsepower, you’ll hear it. This in-your-face jaw-dropper of a vehicle is the definition of true American muscle. The Dodge Challenger SRT Hellcat engine performs using Fuel Saver Technology, allowing you to gain back fuel efficiency you normally lose with extreme mechanical specifications like this. Learn to use your track, sport, and street suspension settings and feel alive behind the wheel of this speed demon. Driving a 2017 Dodge Challenger SRT Hellcat is an experience all its own, so find your model at Oxmoor Auto Group in Louisville, KY.
At Oxmoor Auto Group in Louisville, KY we understand that horsepower comes in all shapes and sizes. The 2017 Ford F-150 Raptor is a fantastic option for drivers who want power and speed in a more versatile truck body. 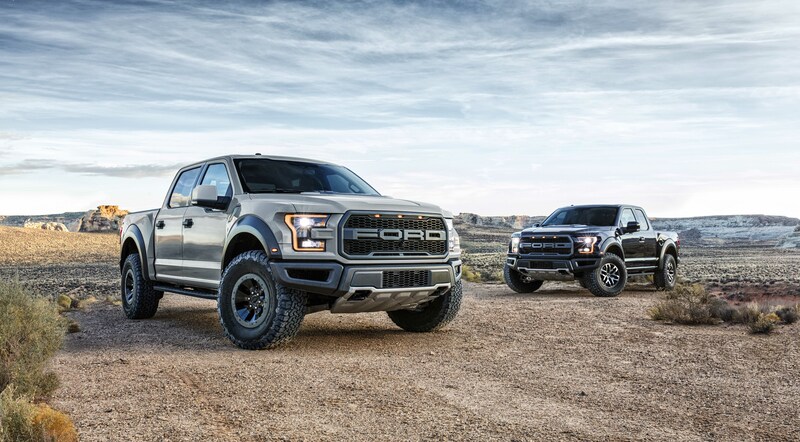 The Raptor trim goes above and beyond your base Ford F-150, with a 3.5L Twin Turbo V-6 engine that gets up to 450 horsepower with 510lb-ft of torque. The Ford F-150 Raptor comes in 2- and 4-door configurations with available leather trimmed seats, standard 4-wheel drive and off-road suspension, and the available Ford Raptor Assault racing performance package, so you can put this fast and rugged truck to the test on a variety of off-road and racing courses. Come down to an Oxmoor Auto Group lot for a test drive and see how this high horsepower truck makes for a phenomenal driving machine. Though we’ve highlighted just a few of our top high horsepower vehicles above, the real selection is found at our dealerships in Louisville, KY. 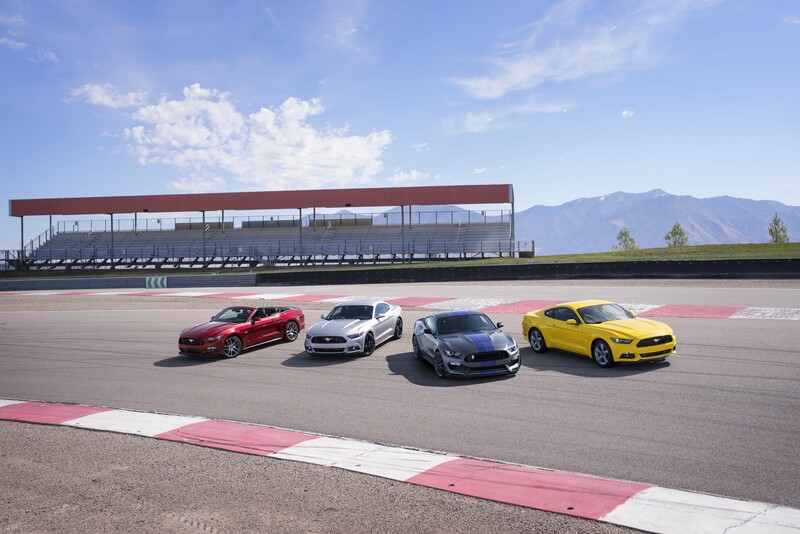 Whether you are looking for a street-ready, racing style muscle car or just want to find a model that can powerfully handle tough terrain while maintaining performance, we have an extensive selection of vehicles to fit your needs. When you’re looking for an exquisitely engineered automobile that can fulfill your need for speed, come in and visit our team at Oxmoor Auto Group today to get started!